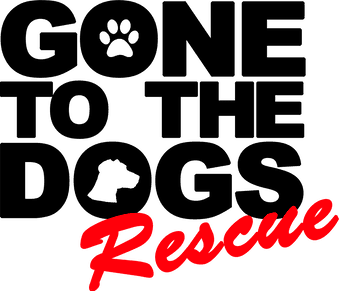 Sponsor A Dog - Gone To The Dogs Rescue Inc. These Dogs Need Special Help! We rescue all dogs, including those who need special medicial attention. They might need on-going medical attention or an expensive surgery. When you sponsor one of the pups below, you are helping cover the cost of their daily care, as well as their ongoing medical needs. Louie is a corgi shepherd mix puppy puppy who we rescued a little less than a year ago. Louie was adopted to a family, but it was soon discovered that Louie needed some medical attention. The family stated they couldn't afford the surgery and saw no other option but to consider euthanizing, we could not do that to poor Louie so we enforced the adoption contract and asked the family to surrender him back to our rescue. We couldn't see this little guy be put to sleep for a medical condition that could be fixed with surgery. Louie is a nine-month old pup who needs your help! He has a subarachnoid cyst in his spinal cord, which is causing weakness in his back leg. The cyst is pinching the spinal cord causing his weakness his pelvic limb weakness. Louie needs surgery to drain and remove as much of the cyst lining as possible! We are asking for you help to improve the quality of life for this little guy! Donations will go to cover the costs of his surgery and recovery.